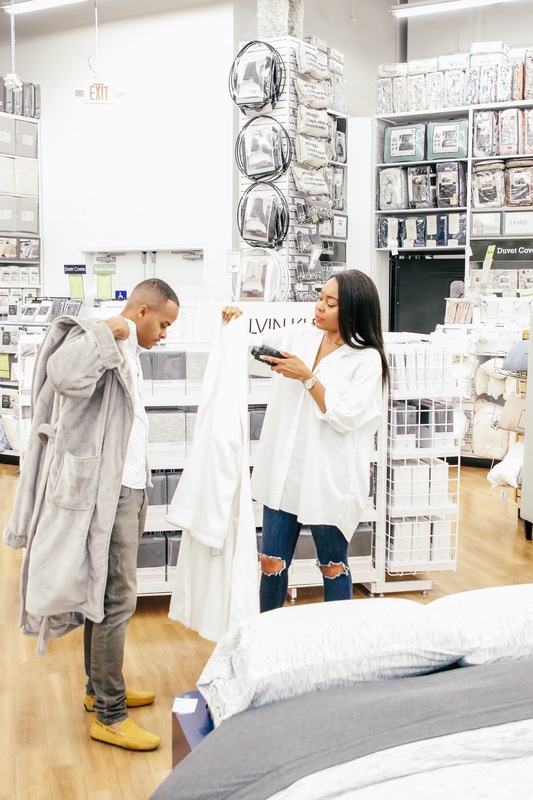 This post is in partnership with Bed Bath & Beyond, a brand that I love. All opinions are 100% my own. Hope you are all doing well and are in the best of health. I'm extremely excited to share this post with you guys. Being engaged has been extremely fun, more than anything else. I guess it's because i've been taking the time to only focus on fun stuff, i.e gift registry and things. LOL! 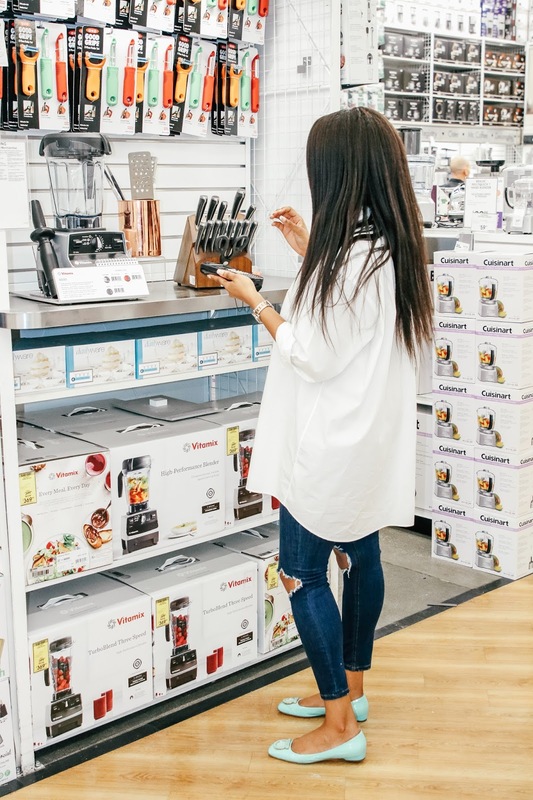 Today's post is all about my amazing gift registry and all of the awesome options that are available at Bed Bath & Beyond. 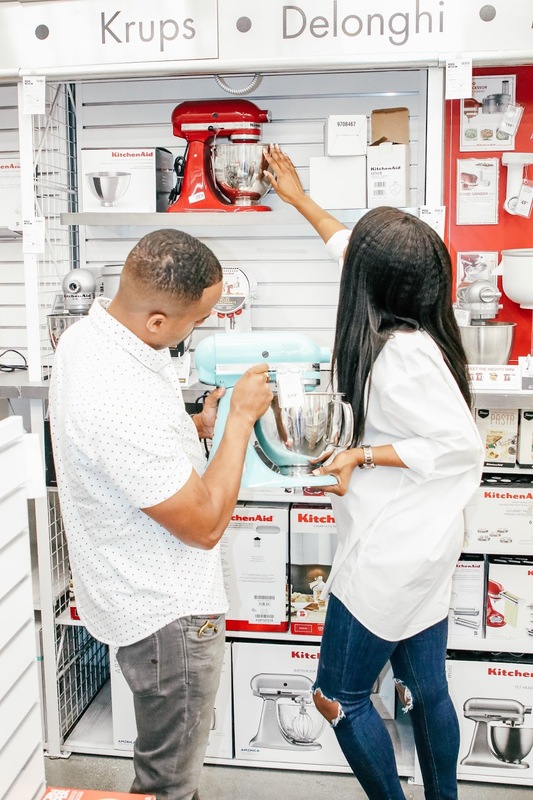 Initially we thought, "We don't need a lot of items on our registry," but man were we wrong. As soon as we logged on to Bed Bath & Beyond, we knew we had underestimated what we truly needed. Lincoln and I have lived together for almost six years. We moved into our own home two years ago and we had gotten rid of so many things before we moved into our home. The idea was that we'd get the things we really needed one by one. It was natural that as we thought about our gift registry, we added those 'dream' items. 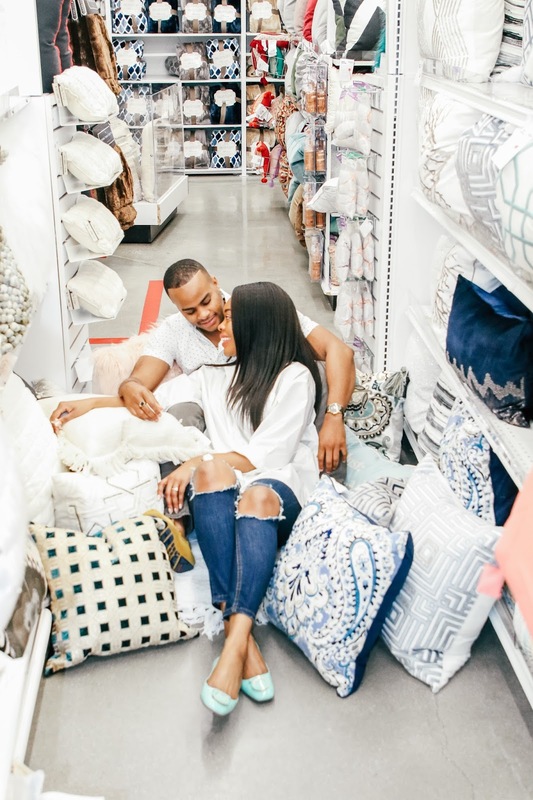 I loved that everything we could have wanted and more was available at Bed Bath & Beyond. 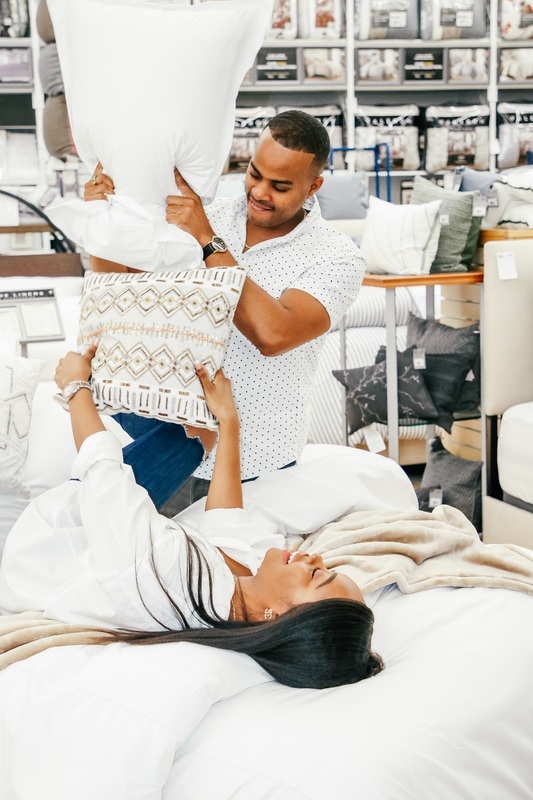 I really see why they are the number one and most popular wedding registry website. 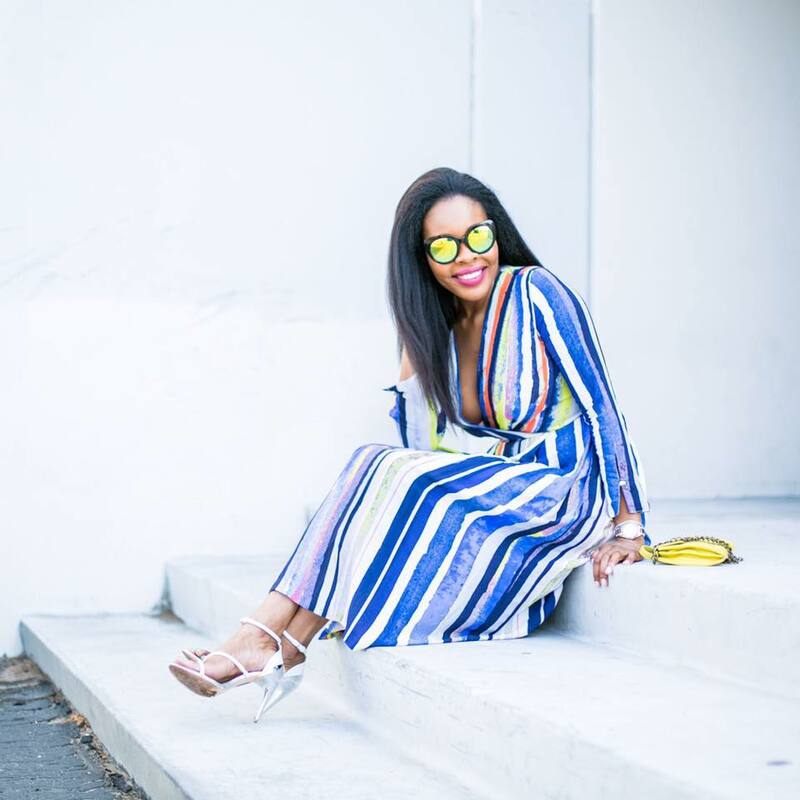 Their website is effortless and easy to navigate. Lincoln and I spent a few hours picking items, going back and forth before making final decisions. We added a few on our online wish-list and also decided to go in-store to see some of the actual products. 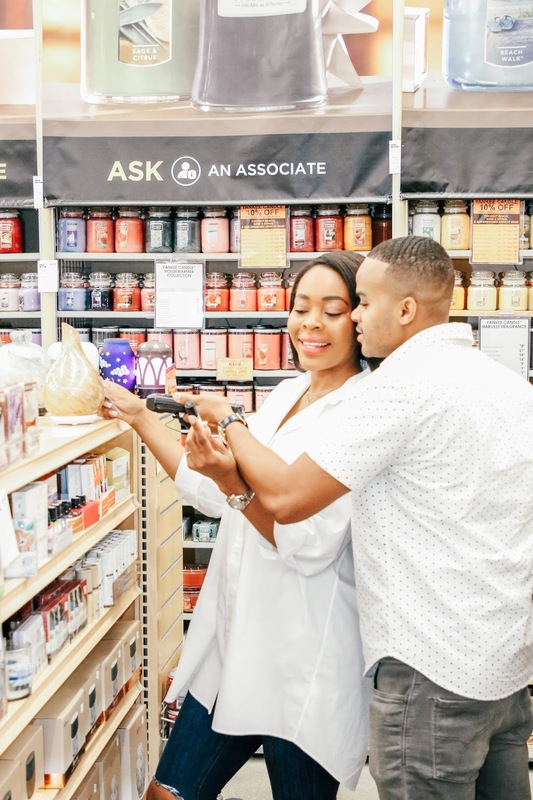 We were utterly surprised by the ease of navigating the store with our oh-so-helpful consultant. She was so knowledgable and patient with us. She was even ok with us frolicking and snapping photos as we go along. We felt catered to, waited on, and had all our questions and concerns answered. The experience really added value to this beautiful journey of love and forever. Once we were fully set up in the system, we were given these cool product scanning devices-which are super easy to use by the way. 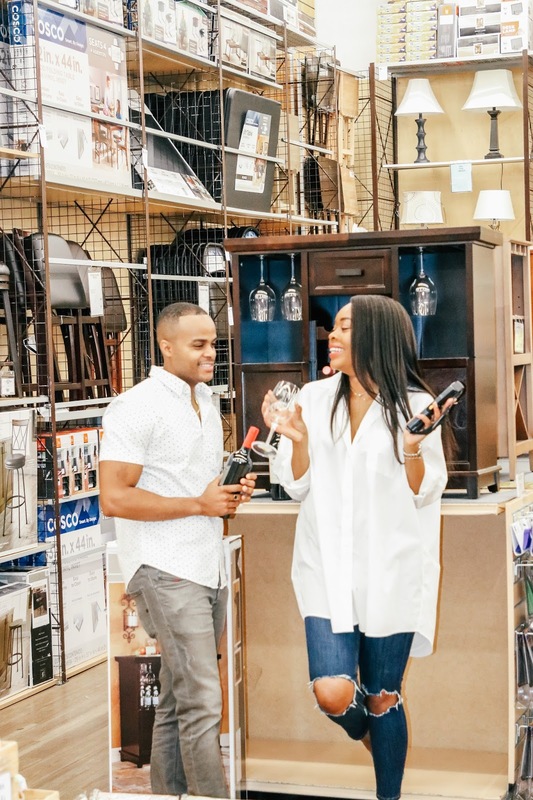 We simply clicked on items we wanted to add to our registry as we went about the store and, just like that, they were uploaded to our registry. 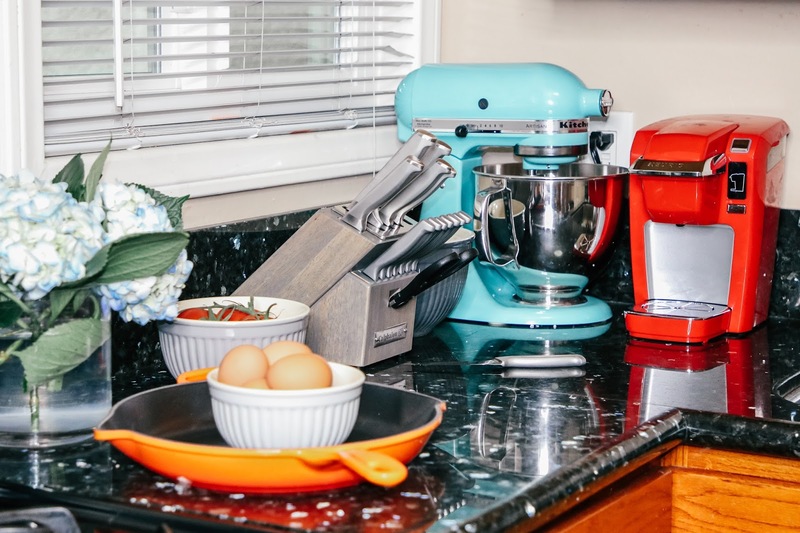 I've always wanted a KitchenAid® Stand Mixer and this aqua color took my breath away-Yes, I just said that. See we have plans to renovate our kitchen an this will fit perfectly into the decor once we get to it. 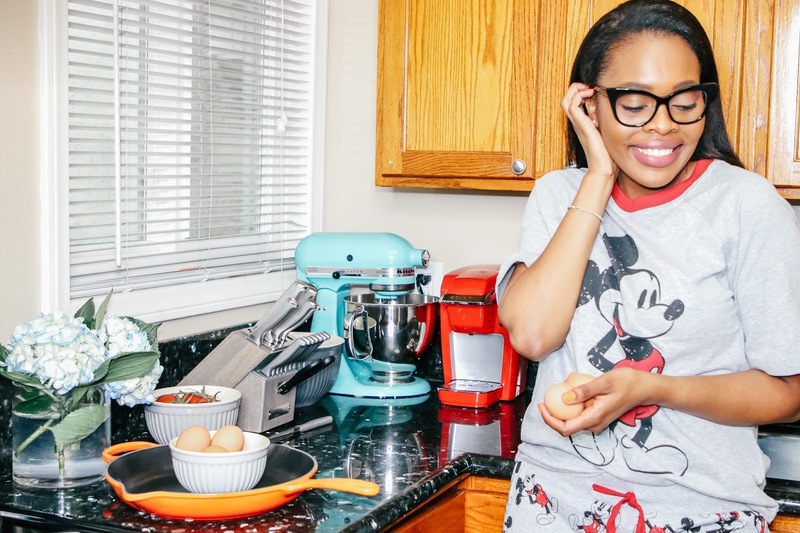 Plus, cooking in style is very in. 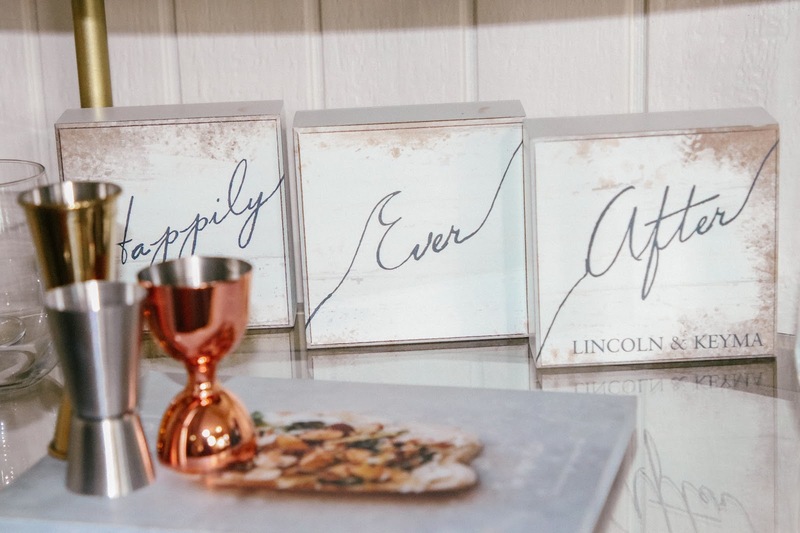 Lincoln was probably more excited about a wine bar and wine accessories more than anything else. We ended up going with the Madison Park Lauren Bar Cart. 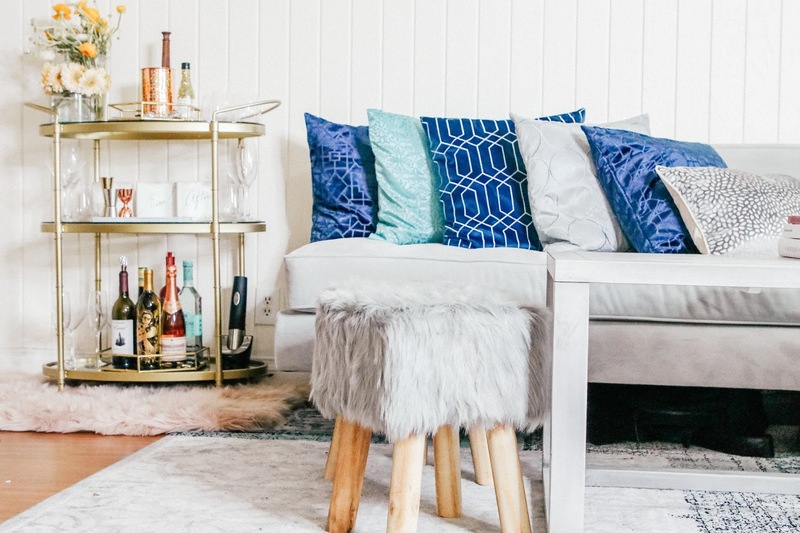 It gave the perfect pop of metal we needed in our home and added that 'party/fun' vibe we wanted. Home scents are a must for me. I absolutely needed this Aromasource® Bliss™ Opalescent Glass Diffuser in Opal. My home always has to have scents flowing through it and I knew this was going to be a must have. Oh my love for cushions is unreal. I probably have too much, but who's counting anyway. 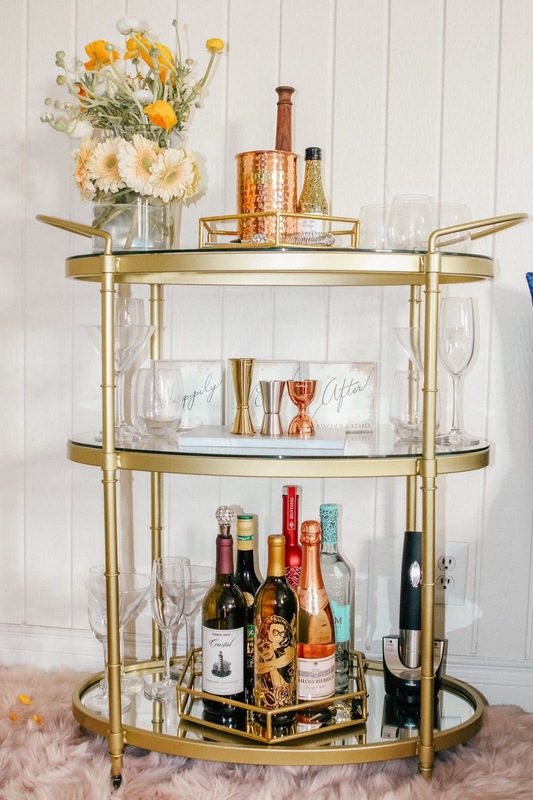 I wanted to update the ones we have and add some extra texture and color to balance our bar cart. The cushion covers we went for were perfect blends, shapes and sizes to execute exactly what we hoped for. 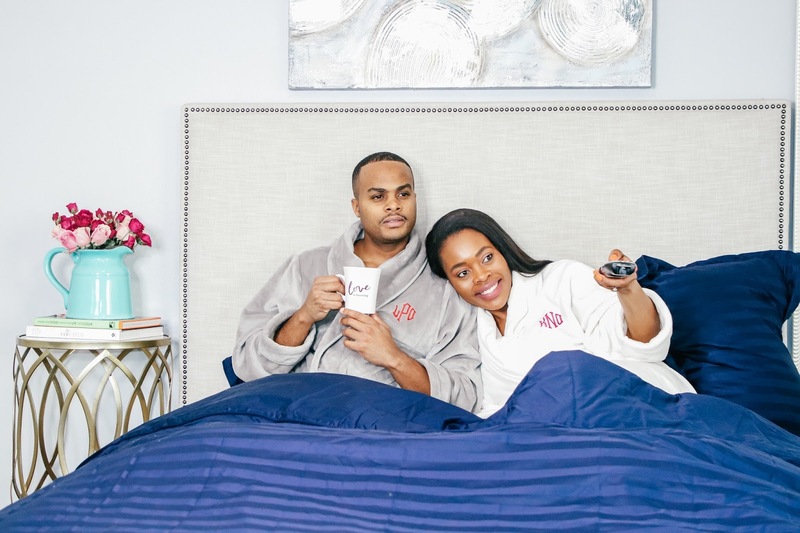 We found these comfortable and lush Wamsutta® Personalized Plush Robe in (Grey for Lincoln) and Cream for me. We both knew we needed new ones. What was even cooler, was that we could get them personalized. We thought it would be cool to monogram our initials and I changed my last initial from M, to O.
Ok, seriously you guys. My mom owns Le Creuset® pots and she always speak highly of them. 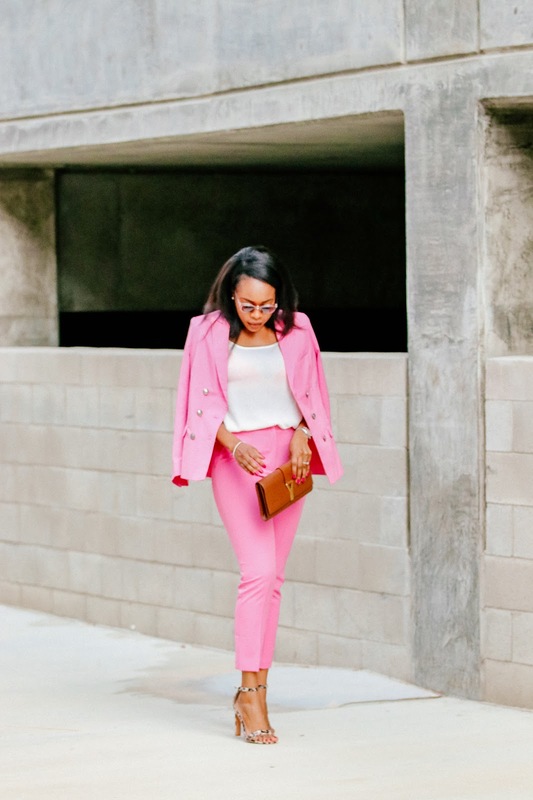 The quality, the style, the colors. 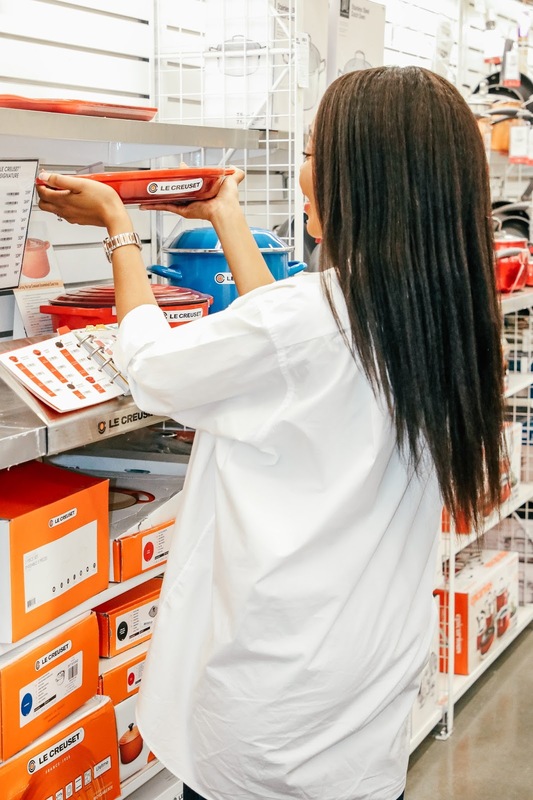 I started collecting them a few years ago and I knew I had to add this Le Creuset® Signature Iron Handle Skillet to my list. I knew we will have these for a long time and one of the best decisions on our registry. We usually cook 2-3 times per week at home. By we actually means me. Ha! I love cooking, I really enjoying it and especially cooking for Lincoln. He's such an easy person to cook for that, sometimes I'll make a meal and not necessarily like it, but he'll love it. I'm quite OK with that. We are both very busy and we do not get to spend as much time as we would like together. 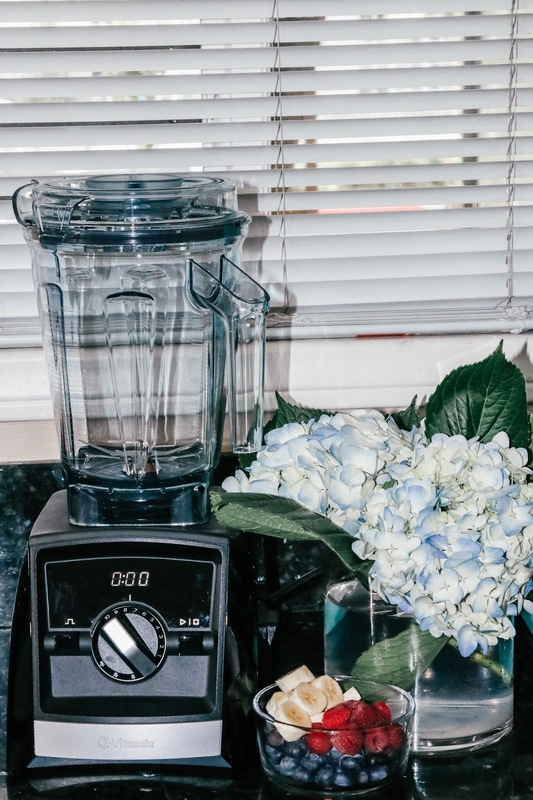 Saturday mornings are usually a shared kitchen experience making breakfast and catching up on weekly shenanigans we didn't quite get to talk about during the week. 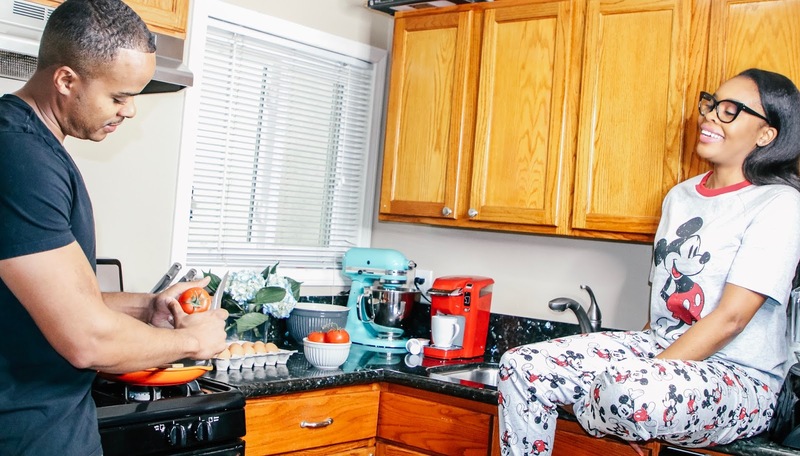 We sometimes cook together-I'll make eggs and Lincoln will brew the coffee (you get what's going on here right?!). 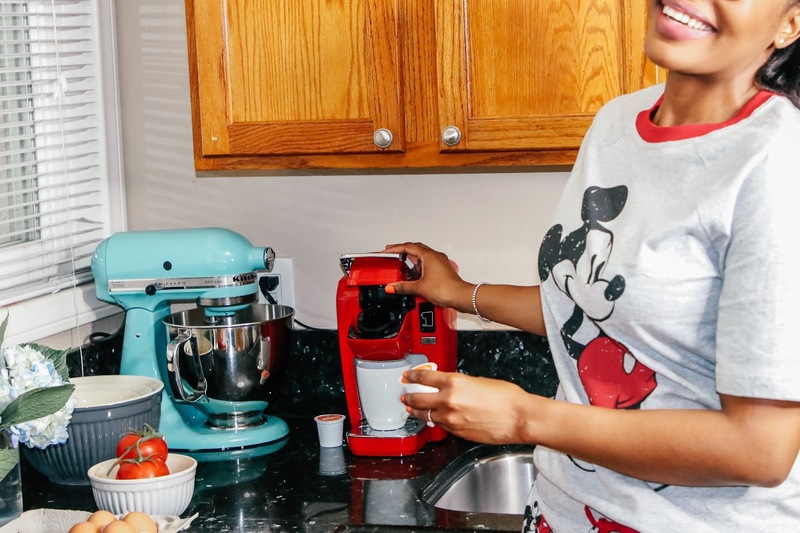 At least now we have this Keurig® K15 Mini Plus Brewing System to make our lives so much easier. We've also been needing a good sturdy set of mixing bowls and these Denmark 4-Piece Ceramic Mixing Bowl Set in Grey ones are quality unmatched. They feel super heavy duty and I whisked my eggs perfectly in them. All the amazing kitchen items I got makes me so excited to get to cooking more and enjoying the process. Something many people do not know about us, is that we are serial homebodies. 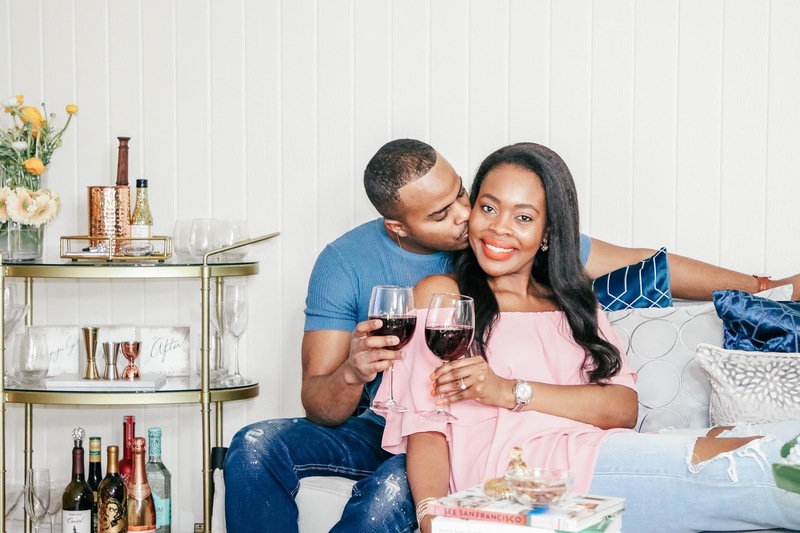 Lincoln and I literally spend 70% of our weekends at home enjoying a good glass of wine, watching movies, and talking about silly stuff or making life plans. With that being our lifestyle, we really wanted our home to bring about comfort and style to compliment and encourage staying at home. The bar cart was part of that, the robes, also a plush Wamsutta® Comforter Set in Navy, and this beautiful Madison Park Arlo Accent Table in Gold. We got two and we decided to style the other one in the living room. 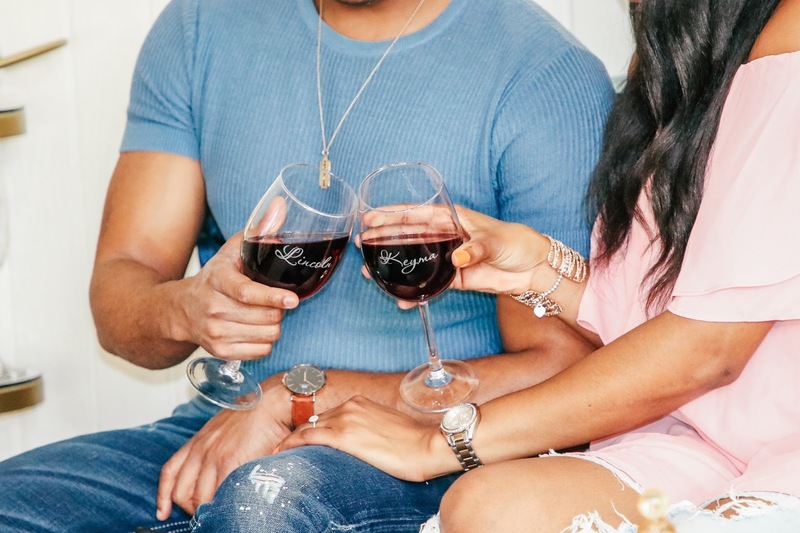 How cute are our Classic Celebrations Red Wine Glass with our names personalized on them. I already know what is going to happen. In our home, I've gotten us a lot of initial monogramed mugs but never any wine glasses. We have so many L and K mugs. It's more my obsession than it is Lincoln's. To tease me, he usually switches our cups and make me tea or coffee and pour it in a L cup. I'm always like "babe, I need a K cup and he thinks it's the funniest thing ever. I can foresee him pouring my wine in the glass that says his name and laughing hysterically at my facial expression. I mentioned these gorgeous cushions earlier in the post. Seriously guys, how chic and gorgeous are they? 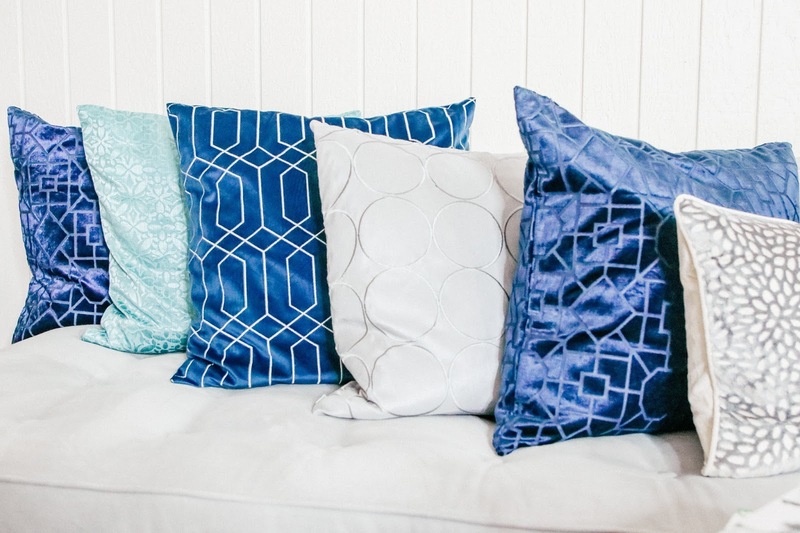 Nothing beats updating your living room space more than cushions. 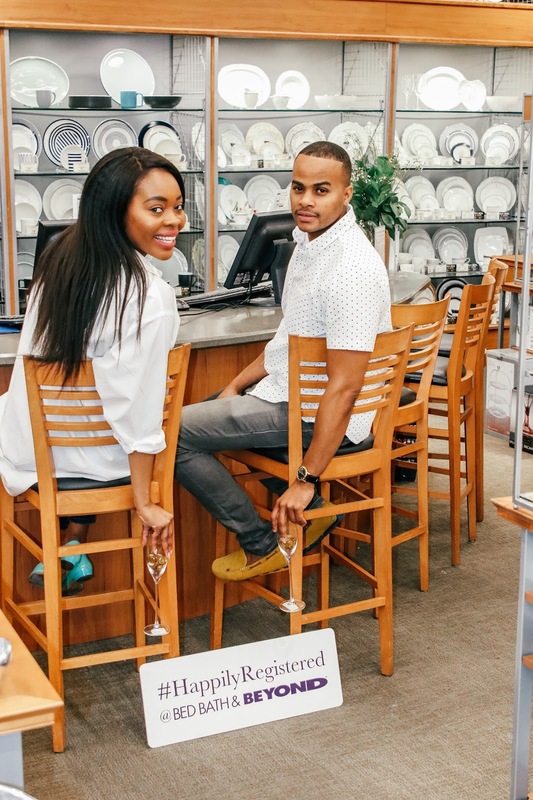 You have to add some on your registry too, or encourage your friend or family member who is getting married to do so. If you look at the photo below, you will see the cutest Mongolian Ottoman with Legs in Grey. Guys, I could not walk away from adding them to our registry. 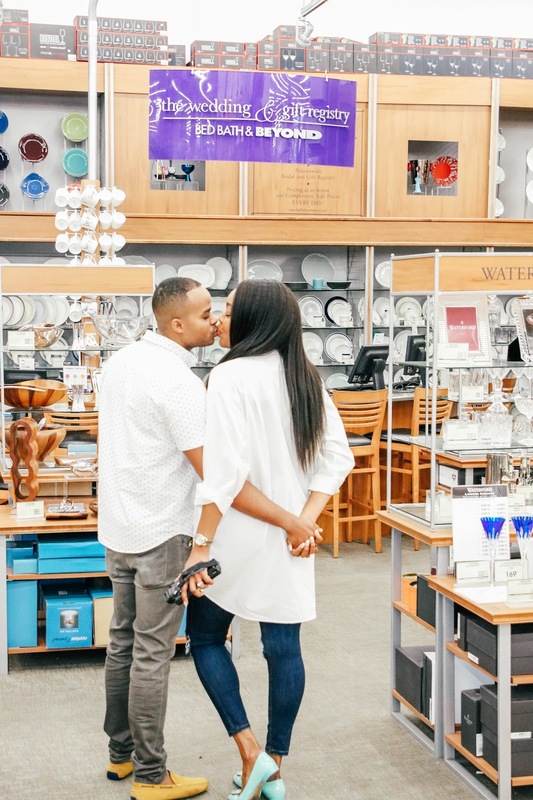 I really hope you enjoyed reading about our gift registry experience with Bed Bath & Beyond. We could not have chosen a better registry option. I mean, I always go with the best. 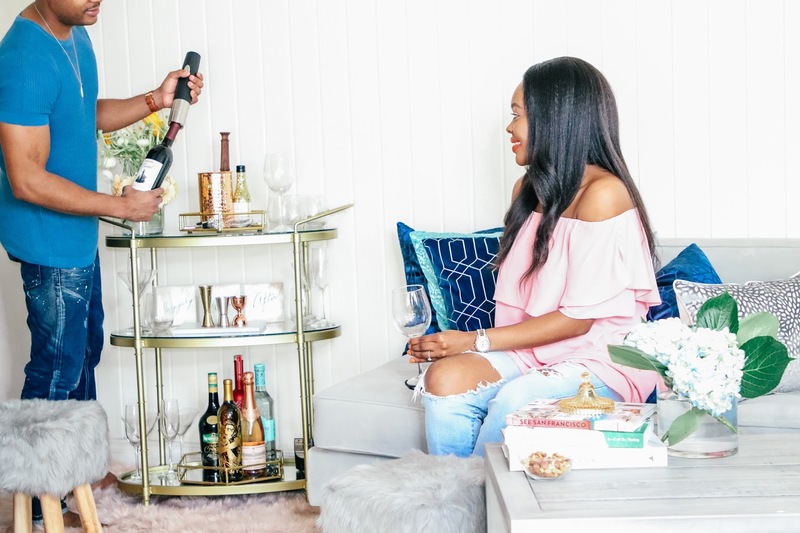 All of the items we chose supported our chic lifestyle and blends perfectly into our home. I could not be happier with how it all turned out. 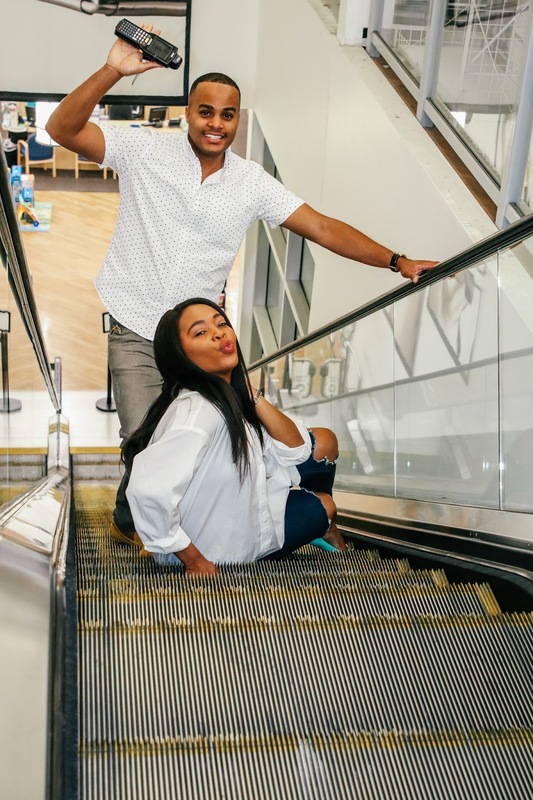 The best part, the amazing customer service and experience we had in store. 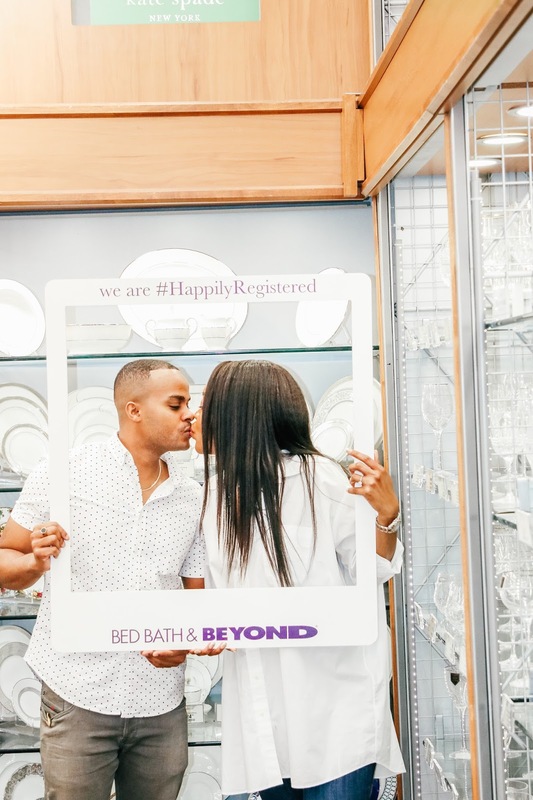 Guys, Bed Bath & Beyond has 'Rock Your Registry" in-store events for engaged couples, you should definitely check it out. Again, thanks for swinging by. Please share this post with all engaged couples or soon to be engaged couples you know. Would like to express gratitude for the speedy shipping associated with my personal fabric totes which arrived within Three days associated with buy leading box favors supplier from UK. I will be using your support again and have certainly been suggesting you to family and friends.